The death of a person is devastating, especially so when that person was someone you love. A family needs to deal with its grief, yet the world moves forward and demands that estate and probate obligations be met and affairs finalized. There are bills to pay and property to transfer. The will and/or trust seem clear, but you don’t know where to begin or exactly what to do. If you’re feeling stressed, confused or unsure of what to do and want the advice and reassurance of an experienced and caring professional, Fredrick P. Niemann, Esq. and the law firm of Hanlon Niemann & Wright can help. If you’re an executor, administrator or beneficiary of an estate in probate, we’ll answer your questions, help you resolve any issues that you may be confronting, coordinate the transfer of assets to beneficiaries, pay bills and file income, estate, death and inheritance tax returns. If you’re a family member whose loved one died without a will, we’ll help you understand the process required to finalize their estate in a timely and professional manner. We’re experienced NJ estate administration and probate attorneys who have helped individuals and families like yours through the maze of New Jersey, and multi-state probate/international estate administration and estate probate law. Call Fredrick P. Niemann toll-free at (855) 376-5291 or e-mail him at fniemann@hnlawfirm.com. He welcomes your inquiries. Written by New Jersey Estate Administration and Probate Law Attorney, Fredrick P. Niemann, Esq. 2018 Speaking Events are being planned right now! Come back often to see where Fred, Chris & Bonnie will be speaking next. The term “probate” of an estate is a legal term that is often used in conjunction with a Last Will or a trust within a Last Will, for example, “probating a will” and “probating an estate”. But what does probate mean when it’s referred to under NJ law? When an individual passes away, an executor is typically appointed under his or her Last Will to probate and administer their estate. In the absence of a will, an administrator is appointed by a court under New Jersey Probate Law. Both positions involve being the representative of the estate charged with legal responsibility to ensure that all required steps are taken to comply with New Jersey probate laws regarding creditors, taxation, and the distribution of estate assets to beneficiaries. In New Jersey, the executor must file the original will for probate with the Surrogate of the county in which the decedent resided at the time of his or her death. Only the original Will can be admitted to probate without involving a judge of the Superior Court of New Jersey. If the executor cannot locate the original Will, then he or she will need to file an order to show cause in the Superior Court in an attempt to admit a copy of the Will to probate. The county will not admit a copy of the Will to probate with the Surrogates consent. After this step is taken, the executor generally opens an estate bank account from which any debts and claims against the estate are to be paid. Title to assets is transferred into the name of the estate or the beneficiaries of the estate, as appropriate. In order to undertake these steps, a tax identification number (commonly called a Federal Tax ID number) is acquired because an individual’s social security number becomes invalid upon death. In addition, the executor for the probate estate must file a variety of forms with the Internal Revenue Service and the County Surrogate’s Office to ensure that he or she is not held personally liable for the debts of the estate. A Will is a legal document which sets forth in writing what happens to your property upon death. It can also address other matters of importance to you after you’re gone. A beneficiary is someone who receives all or a portion of the assets and income of your estate. A Will in New Jersey must be signed in the presence of two (2) witnesses, eighteen (18) years of age and over. Until death a Will has no legal effect. A Will also must name an Executor, who is the person who distributes the property to your beneficiaries as part of New Jersey estate and probate administration, pays any outstanding bills after death and carries out your instructions as specified in the Will. My son is an attorney in New Jersey. I am retired and live in Ocean County, New Jersey about 45 minutes away from my son. I needed a lawyer to look at my estate planning documents including Will, Power of Attorney and Health Care Directive. My son recommended Hanlon Niemann in Freehold, New Jersey, specifically Fredrick P. Niemann. I took his advice and met with Mr. Niemann. I am glad that I did. He is a warm and engaging person. No pretense, no airs about him. 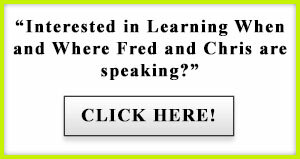 I immediately felt at ease and we talked about everything that I wanted to do and accomplish with my estate planning. I felt I could open up to him and tell him what was really important to me. He prepared the documents as we discussed and sent them to me in advance to review and approve. Then he scheduled me for a signature session where my appointment was promptly kept and a friendly, positive staff witnessed all of my documents. My son, the attorney, gave me good advice when he recommended Mr. Niemann. If you are searching for a special attorney, someone who is experienced, likeable as a person and professional, call Mr. Niemann. I felt good about my choice. What is a Self-Proving Will, and What is its Place in Estate Administration? A Self-Proving Will can be very easily probated as part of estate administration before a New Jersey Surrogate. A Self-Proving Will contains an affidavit with several important provisions relating to the age, mental capacity and understanding of its maker. Witnesses to the will must acknowledge the signing of the Will before a notary public or some other person authorized to take an acknowledgment. If the self proving Will is notarized as described above, our office can initiate the process of presenting the original Will and a copy of the death certificate, with raised seal, to the Surrogate‘s Office in the county where the deceased resided at the time of death. This begins the process of estate administration and probate. Wills that are not self-proving can also be probated. A copy of the death certificate with raised seal must be presented to the Surrogate’s Office. The Executor must locate one of the witnesses who signed the Will and request that this person appear at the Surrogate’s Office to “prove” the Will. If you cannot locate at least one(1) witness, then it will be necessary to commence the “diligent inquiry” process to locate the witness. Should the witness reside out of the country or outside of the state, our office can coordinate probate with the Surrogate’s Office in order to make alternate arrangements to prove the Will. So where do you begin to find a will? The best place to start is where the deceased kept his/her important papers. If it is not there, look in drawers, cabinets or “secret” places. If the deceased had a safe deposit box, contact the bank where the box is kept and make an appointment to open the box in the presence of a bank officer. If there is a Will in the box, it will be released to the named Executor. But beware, check with your bank on how to retrieve items in a safe deposit box. Changes are they will make it tough so ask the manager what you can do. There are three primary taxes which can be levied upon an individual’s death: (1) the federal estate tax, (2) the New Jersey Inheritance Tax and/or NJ Estate Death Tax and (3) federal and NJ income taxes. The executor needs to determine whether or not the first two taxes are due and must be paid. Income taxes must always be addressed by an executor on income received by the decedent before death or generated on estate assets between the decedent’s date of death and the date of distribution to beneficiaries. In order to properly conclude an estate, an accounting must be made by the executor to all eligible beneficiaries. Once approved and in exchange for a release and refunding bond is signed by each beneficiary, estate property can be distributed. The release and refunding bond is always filed with the County Surrogate’s Office and all beneficiaries acknowledge the receipt of their share of the estate. A fully executed release and refunding bond discharges the executor from further obligation to the estate, and each beneficiary accepts pro rata responsibility for any debts filed against the estate subsequent to the beneficiary receiving his/her distribution. In many cases, a testamentary trust is found within a decedents Last Will or it exists as an independent document that must be addressed as part of probate. Like the executor, the trustee has a very serious responsibility to all beneficiaries of the trust. The trustee may be responsible for complying with the Prudent Investor Act. This law requires that the trustee invest trust assets prudently. Prudently means that not only must the assets be preserved but they must be invested for the benefit of the beneficiaries. Non-professional trustees are sometimes advised to delegate this function to professional trustees or trustee advisors. A family member can continue to serve as trustee under this arrangement. In addition to these two laws, the trustee must file appropriate tax returns. These include federal and state 1041’s, which are income tax returns for the trust and K-1’s, which are given to beneficiaries to indicate income distributions. A trustee must be careful not to take on liability for acts not properly done by the executor. An executor, an administrator and the trustee each have significant personal liability to taxing authorities and to all of the beneficiaries of an estate. A good faith effort by the fiduciary to be fair and reasonable will not protect the fiduciary from this liability. Serving as fiduciary is a complex undertaking, which should not be attempted without professional assistance. To learn more about the function of a trust both in probate and non-probate circumstances visit my dedicated trust website found at www.njtrustattorney.com (CLICK HERE) You’ll learn about trusts and how they work. Are you an executor, administrator or trustee of a New Jersey estate subject to probate? If so, speak with a knowledgeable New Jersey probate attorney who can work with you. 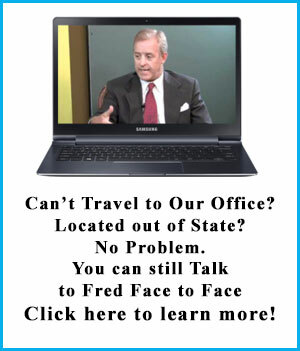 Please call Fredrick P. Niemann, Esq. at toll-free (855) 376-5291 or e-mail him at fniemann@hnlawfirm.com and set up an office consultation at your convenience. Under NJ law, an estate consists of all property owned by a deceased person prior to the distribution of his/her property in accordance with the terms of a will or trust, or, when there is no will or trust, in accordance with the law of intestate succession in New Jersey or the state where the individual lived. The process of estate administration and probate can be complicated. Several things must happen. The will is proven to be valid or invalid. The property covered by the will or trust is verified and valued. The manner in which the property of the decedent is to be distributed to beneficiaries is established. Creditors of the decedent are identified and given the opportunity to file claims against the estate. Fees and taxes for administration of the estate are established and paid. The assets of the estate are distributed to heirs and beneficiaries. Probate is a judicially supervised process for gathering a decedent’s assets, paying taxes and claims, and distributing assets to the beneficiaries. Probate is only necessary when a person dies with assets titled and owned in his or her name individually. Assets in a living trust, revocable trust, irrevocable trust, property that is jointly owned or with a beneficiary designation does not go through the probate process in this state. Probate has a bad reputation. Sometimes rightfully so, but not always. We can explain the pros and cons of New Jersey probate to you in simple, plain English. To learn more about probate in New Jersey, go to our page entitled “Understanding the Probate Process in NJ”. You’ll get a good overview on the subject. Fredrick P. Niemann, Esq. of Hanlon Niemann is a trusted, qualified, and experienced New Jersey estate lawyer trained to provide you with information on the ways to efficiently navigate the probate process and the County Surrogate’s Office. During a difficult period in my life, I called upon Hanlon Niemann to help me as executor to my father’s estate. Mr. Niemann stayed with me every step of the way. He is very professional in his manner and dealings, not only with me but with the attorneys, law firms, creditors and others involved in the probate of my father’s estate. I am very satisfied with his services. Mr. Niemann has been a god send to me and my family. He has met with me many, many times with patience, sensitivity and understanding that few people expect from an attorney. My family issues are complex and Mr. Niemann understands what I want to happen to my estate upon my death especially for my adult incapacitated child and other adult children. He created a special trust for my son. He has followed up with me to help me make decisions without forcing his opinions on me. In the end, he told me, ”Jerri, my job is to explain your choices and help you understand the legal effect of those choices”. He guides me and puts me at ease. He wants me to make decisions that are the right ones for me.